MOSCOW, Russia -- On the eve of an EU-Ukraine summit on December 19, Ukraine’s relations with Brussels are deteriorating. EU officials have warned that the detention of opposition leader Yulia Tymoshenko is damaging Kiev’s hopes of signing an Association Agreement by the end of the year. Meanwhile, Ukraine is considering relinquishing a 50%-share of its pipelines to Russia for cheaper gas. David Marples looks at the possible political direction Ukraine is headed for in 2012. As Ukraine’s relationship with the EU continues to flounder over human rights issues, the imprisonment of former Prime Minister Yulia Tymoshenko and the lengthy detention of former Interior Minister Yuri Lutsenko, there are signs that the government is prepared to flout existing laws to gain closer association with Gazprom and the Customs Union of Russia, Belarus, and Kazakhstan. The consequences could be not only the loss of links with the European Energy Community (EEC) but also the undermining of Ukraine’s sovereignty. On December 4, Russia’s Ambassador to Ukraine Mikhail Zurabov announced that the new gas agreement between the two states would have the status of an international agreement, rather than a business arrangement between the two responsible companies, Gazprom and Naftohaz. The evident tolerance of the EU for the abuses of power in Kiev is, perhaps, even more important for the ruling party’s survival. Ukraine has not been subject to the kind sanctions the EU has applied in Belarus. Russia is evidently responding to the EU’s plans for closer integration with Ukraine and greater transparency in the transit of gas from Russia to Western Europe. Analyst Maksim Alinov argues that the results of the inter-state agreement proposed by the Russian ambassador would override current Ukrainian laws, which make it illegal to transfer Ukraine’s transit system to Russian control. A similar sale to Gazprom occurred recently in Belarus. In the Ukrainian weekly, Zerkalo Nedeli, Alinov writes that the flouting of the agreement in place would also give Russia significant influence over the internal economic and political situation in Ukraine. In the same paper, analyst, Maksim Honchar, goes further, maintaining that Kiev’s apparent reversal of policy on the EEC would violate Article 7 of a 2010 legislation, which stipulates that Ukraine’s oil, gas, and electricity networks should operate in accordance with EU rules. In his view this indicates a willingness to surrender national interests, which would be an even more serious threat to Ukraine’s pro-European policy than the imprisonment of Tymoshenko. It would also strengthen considerably the position of Gazprom, a monopolist enterprise that seeks to deploy energy as an instrument of political control. Honchar predicts that Ukraine could acquire cheap gas but at the price of gradually losing its sovereignty and the Association Agreement with the EU. This, Honchar believes, would lead to an inevitable defensive alliance with Russia. Meanwhile, the EU continues to demand the release of Tymoshenko as a prequel to the initializing of the Association Agreement, though with diminishing hopes and growing frustration. Ukraine’s leaders are posing serious threats to the sovereignty of Ukraine, relinquishing hard-won rights for the immediate prospect of cheap gas and permitting a much more powerful role for Russian agencies like Gazprom to step in and purchase Naftohaz. Wilfred Martens, President of the European People’s Party, stated that Ukraine, like Poland, could be an important EU player, and that without it, the EU project could not be complete. He insisted, however, that as a prerequisite to the start of the process leading to the Agreement, Ukraine’s Party of Regions must release Tymoshenko, Lutsenko, and other political prisoners. Foreign Minister Kostyantyn Hryshchenko has demurred, stating that Tymoshenko could not be used as a bargaining chip in trade relations and that her situation was a matter for the Ukrainian Judiciary. He recently wrote, in the Ukrainian paper, Unian, that to do so would be tantamount to indicating that the latter is not an independent body. Although Ukraine’s leadership faces several serious economic problems and recently, for a second time, rejected the IMF’s demand to raise energy prices, it does not seem to be facing a serious threat from the opposition. Indeed, the political situation seems relatively unaffected by the Tymoshenko saga. Analyst Kost Bondarenko maintains that the population has lost interest in the struggle between Tymoshenko and the ruling elite, while Vadim Karasev considers that the apparent lack of public sympathy for Tymoshenko reflects the general perception of her as a former representative of the political establishment. This has proven to be a positive sign for the authorities and shows that the arrest of Tymoshenko has not affected ratings for the president and The Party of Regions. Ratings polls show that Yanukovych remains the leading individual politician with ratings between 17.4 and 20.7%, whereas the ratings of Tymoshenko, the only serious contender, range from 13 to 14.1%. Yatsenyuk in third place has, at most, 9.9% support. In short, with Tymoshenko out of the picture, there is no longer a serious contender from the opposition. The ruling party seems to be calculating each step in a cynical fashion, taking action and then monitoring the response. Vadim Karasev points out that the leadership thinks the release of Tymoshenko would be seen as a sign of weakness. Ukrainian leaders are closely watching political events in Russia, where the rise of oppositional activities could have a domino effect in Ukraine. Yatsenyuk in third place has, at most, 9.9% support. In short, with Tymoshenko out of the picture, there is no longer a serious contender from the opposition. The ruling party may also consider that in 2011 popularity might have been expected to drop because of the introduction of unpopular measures such as pension and taxation codes. The party can expect even better fortune in the New Year, not least because Ukraine will host the UEFA Championship, Euro-2012. The evident tolerance of the EU for the abuses of power in Kiev is, perhaps, even more important for the ruling party’s survival. Ukraine has not been subject to the kind sanctions the EU has applied in Belarus. Ukraine has moved rapidly from one of the most democratic of post-Soviet states to a position well down the scale. At the same time the corruption that has long pervaded the Ukrainian economy has not diminished. In a foreign policy report for the Brookings Institute, Former US ambassador to Ukraine, Steven Pifer observed that the United States is preoccupied with other issues and unlikely to engage with Ukraine at the highest level until after the 2012 presidential election. 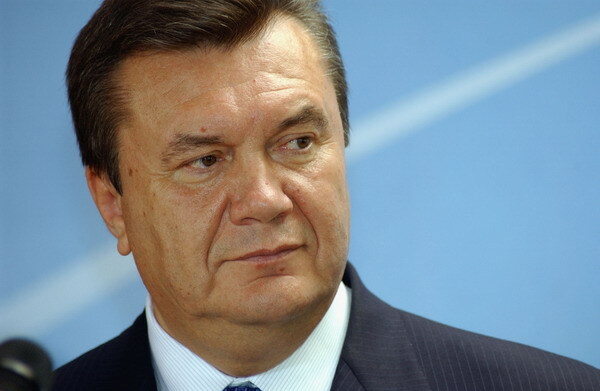 Thus Yanukovych and The Party of Regions effectively have carte blanche to continue their current path. The EEC agreement appears to have been jettisoned. For the second time since the January 2010 election (the first being the Kharkiv Accords on the Black Sea Fleet), Ukraine’s leaders are posing serious threats to the sovereignty of Ukraine, relinquishing hard-won rights for the immediate prospect of cheap gas and permitting a much more powerful role for Russian agencies like Gazprom to step in and purchase Naftohaz. The next logical stage would be for Ukraine to join the Customs Union (with Russia, Kazakhstan, and Belarus). Only a year ago that would have been unthinkable, but it is now a serious possibility.